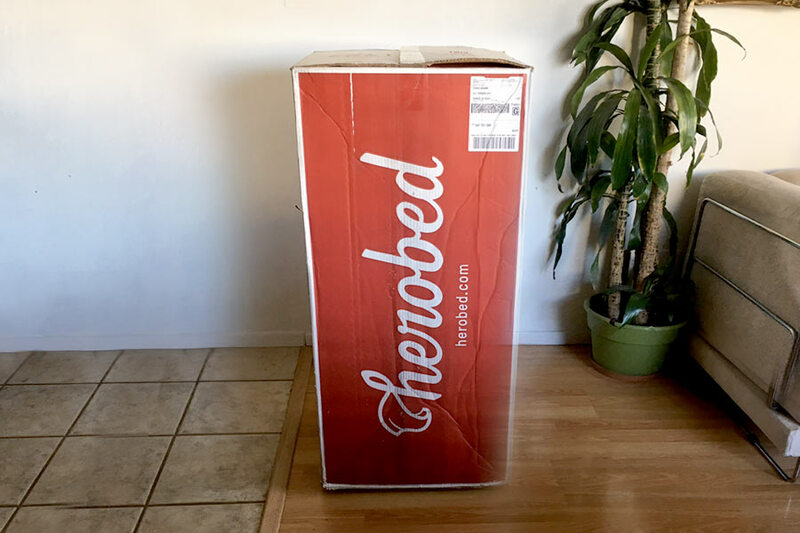 HeroBed is new to the mattress industry but their first bed is an impressive start. 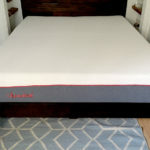 The HeroBed is a hybrid mattress, combining foam and coils. This makes for a comfortable responsive sleep. 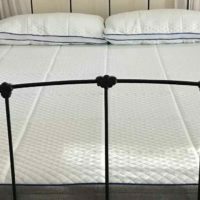 Read my HeroBed Mattress Review below and discover if this bed is right for you. 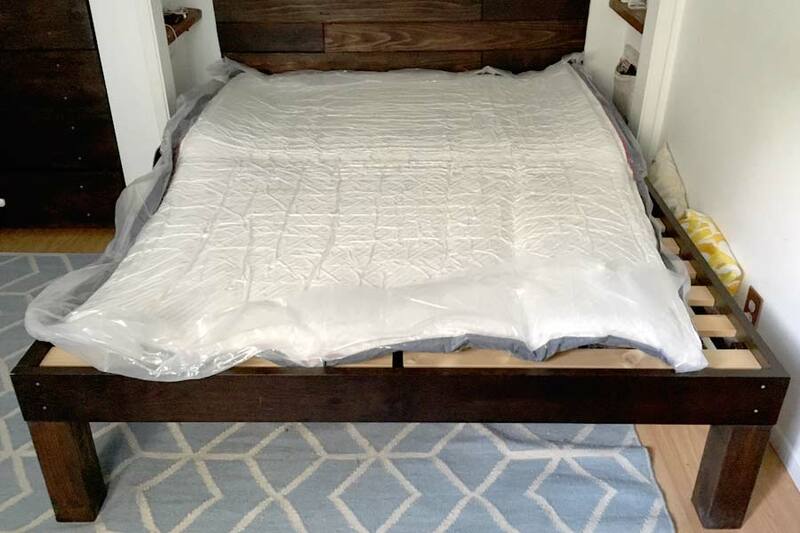 Firmness- I gave the Hero Bed a firmness rating of 6-7 out of 10 (10 being the firmest).When I first laid down on the bed it felt pretty firm. Within a second or two, I began to settle into the mattress. 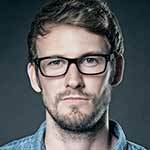 HeroBed uses a combination of memory foam and two coil layers to achieve this effect. The coils provide the firm responsiveness, while the top memory foam layer provides a nice level of comfort. Support- The HeroBed felt good for the inital feel, but how does it do overnight? I was pleased to find I woke up the next morning feeling rested and pain free. I am a back sleeper, and the microcoils really did provide a night long support. I always check to see if there is any pain in the hips or lower back (pressure point areas), but the HeroBed did a great job dispersing my weight evenly. I do want to mention that my partner is a side sleeper and had a slightly less comfortable night. She is used to extremely soft beds and found the HeroBed to be too firm for her. You can see her showing off the bed in the video below. Responsiveness- The HeroBed excelled at response. As you can see from the video above, there is no real sinking into this mattress. It is easy to move around on this bed, and ideal for night time activities. 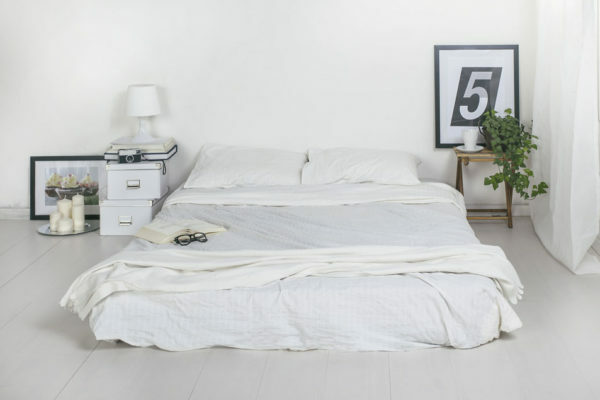 The top memory foam layer does make it comfortable, but don’t expect this mattress to feel like a cloud. Temperature- I had no problems with this bed when it comes to heat. 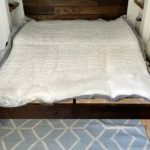 The Gel memory foam top layer and coils beneath do a great job pulling heat away from the sleeper. This mattress would work perfectly for warmer climates. 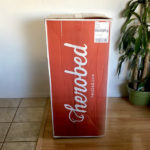 Smell– There was no smell when I opened the box for my HeroBed mattress review. I was able to lay it down and sleep on it right away. I can only say the same thing about a few other mattresses. I really like the concept behind the HeroBed. Heroes can be anyone, so why shouldn’t we all get the sleep a hero deserves. 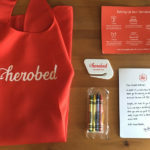 HeroBed is not only promoting a mattress, but a nice idea. They even have a way for people to share a story about a hero in their life on the Wall of Heroes. HeroBed also does a good job making the most of their packaging. 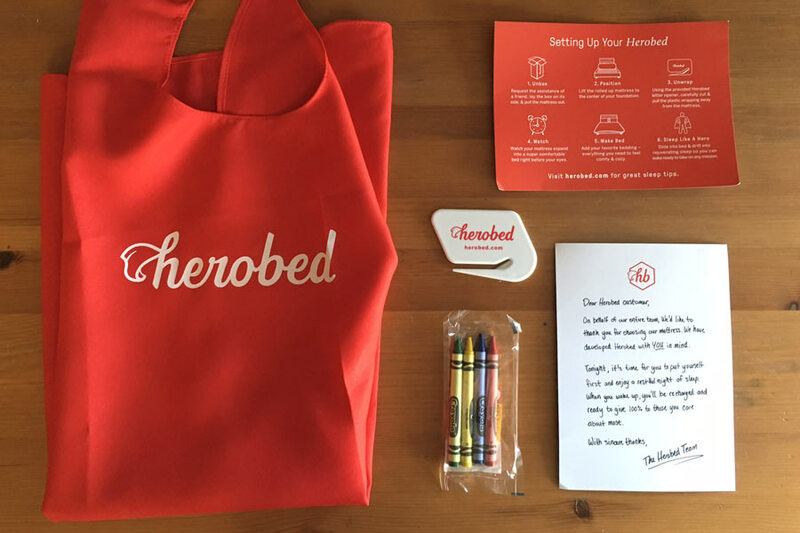 The HeroBed comes with crayons and big pictures on the box for your kids to play with. It also comes with an awesome red cape, that I plan on wearing this halloween. 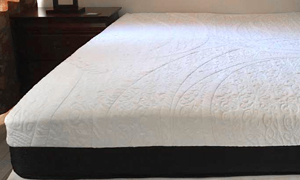 Slightly firmer mattress that provides a supportive, comfortable sleep. 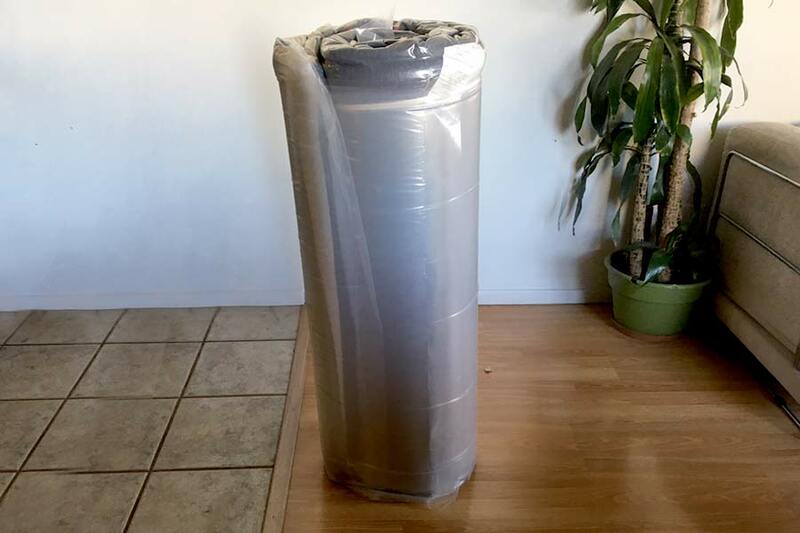 Good price for the number of coils and layers built into this mattress. Sleeps cool, ideal for any climates. 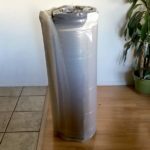 More expensive than other non-coil mattresses. 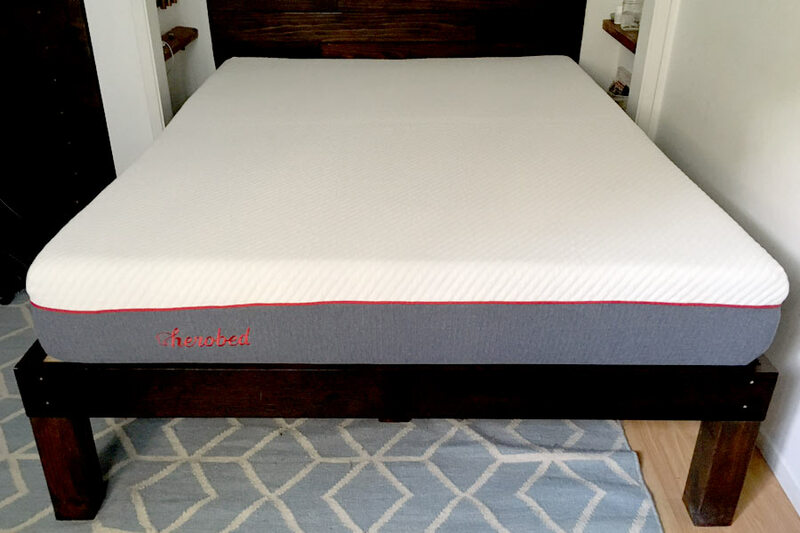 The creators of the HeroBed have created a great mattress. Sleepers will find a slightly firmer bed that is still comfortable. 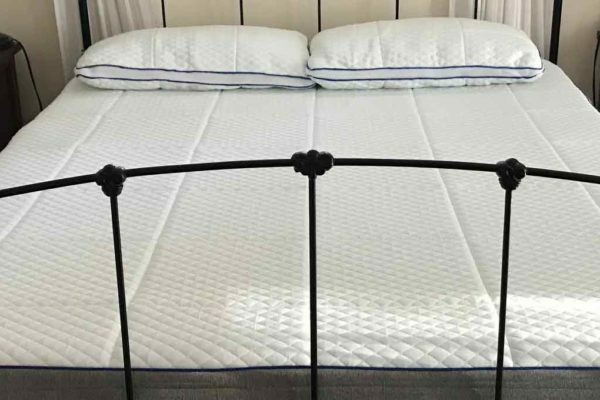 The combination of gel memory foam and micro coils creates a supportive sleep that let me awake full of energy. This quality of materials mean that the Hero Bed will cost you a bit more than other full foam mattresses. Still not sure? The HeroBed has a 100 night risk free trial. Have any extra questions? Ask them in the comments section below.